The OWTU is not confident that all is in place to ensure severance payouts to Petrotrin workers. The company is due to officially close off operations on November 30th. 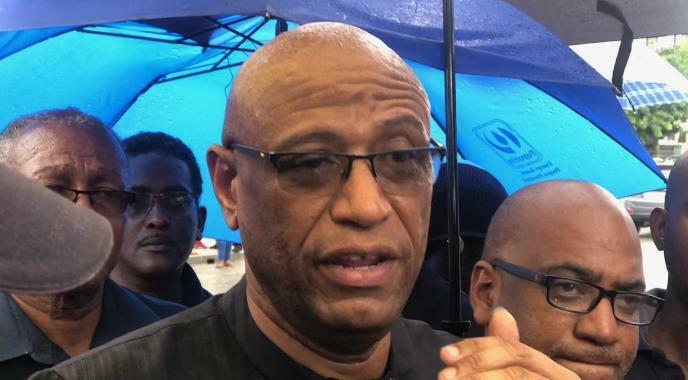 Union President Ancel Roget expressed this doubt this morning, after a marathon meeting with company officials yesterday. Mr Roget also has doubts about pension payouts, despite assurances yesterday from Petrotrin’s Chairman. That uncertainty he adds, comes in the wake of concerns from the Pension Fund’s Trustee, Republic Bank, that the fund is currently in deficit by $2.73 billion dollars. Mr Roget also continued to accuse the Government of shutting Petrotrin down to spite the Union.